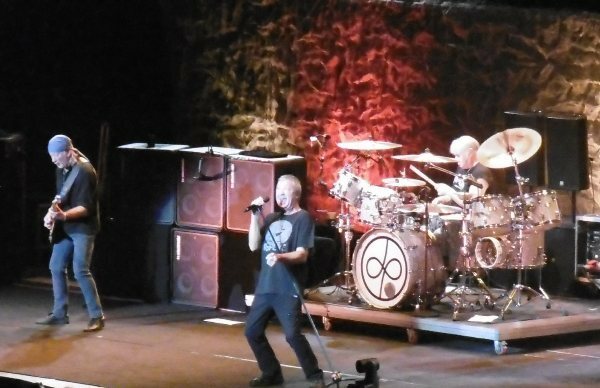 Rumour has it that, nearly 50 years after forming, this may be Deep Purple's final tour. Could this be The Final Countdown, as support band Europe might say? 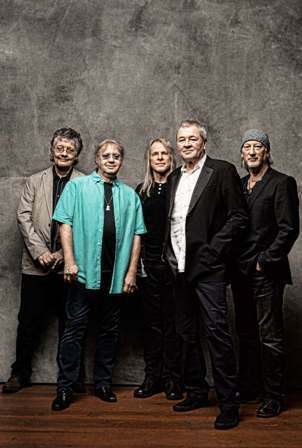 Naming this series of shows 'The Long Goodbye' indicates the mindset of the band, although frontman Ian Gillan announced at the Birmingham gig: ''We might carry on a little bit.'' He added that this year's Deep Purple album, InFinite, was originally meant to be their last but that may change. ''We weren't too well a couple of years ago but we're feeling better now,'' he said. It was the health of drummer Ian Paice that caused most concern when he suffered a mini stroke last year. But he was on top form at the Arena Birmingham show, the first UK date on their on-going world tour. Smiling throughout, his powerhouse drumming provided the backbone to the hour and 40 minute gig. Gillan's singing was spot-on, although he's toned down his more extreme vocal elements, resulting in a slightly less powerful performance. 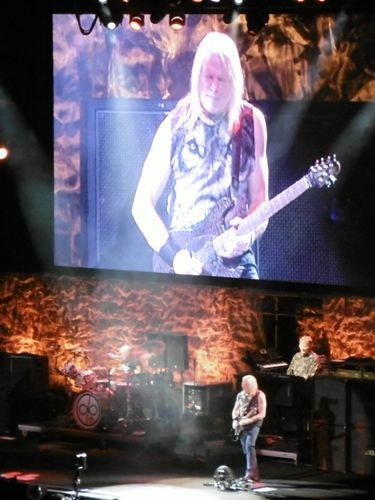 Roger Glover's bass was solidly dependable but the overwhelming impression was that this was guitarist Steve Morse and keyboardist Don Airey's show. They seemed to have been given free rein to solo at will – and they took full advantage. Morse's fingers worked at lightning speed during new track Birds of Prey and, of course, he was supreme on Smoke on the Water. Airey enjoyed the luxury of several extended keyboard passages, throwing in a few Black Sabbath riffs as his tribute to Birmingham and even including a few bars of The Final Countdown during Black Night. It culminated in an epic keyboards versus guitar battle in the first song of the encore, Hush. Four tracks from InFinite were included early on, with Gillan seemingly relying on lyric sheets taped to the stage floor for All I Got Is You and Birds of Prey. It was great hearing new material but it meant favourites like Strange Kind of Woman, Speed King and Highway Star were jettisoned from the setlist. There were highlights aplenty. Uncommon Man, the poignant tribute to former keyboard player Jon Lord. Lazy, preceded by a long, bluesy instrumental and including Gillan playing harmonica. A 100mph Space Truckin'. The hidden gem that is Bloodsucker from 1970's Deep Purple In Rock, re-recorded as Bludsucker for 1998's Abandon. 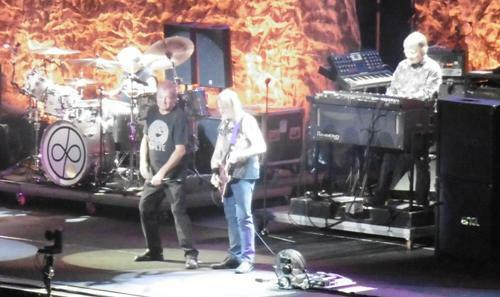 If this was Deep Purple's farewell to Birmingham, they left on a high. Nov 23: O2 Arena, London. Why? A fond farewell from rock legends?